Blake Lively, or Mrs Reynolds if you prefer, seems to have lead a charmed existence so far. Winner in the gene pool lottery she got the first acting job she went for, shot up the celeb ladder with a starring role in Gossip Girl and then married one of the most sort after Ryan’s on the planet – second only to Gosling and actually first in this house. She now has dipped her perfectly manicured toes into the water of lifestyle websites as Preserve went live on 18th July. It's been reviewed (and slated) everywhere from The Guardian to The Huffington Post so I thought I’d dig around and let you lot know what I thought of this latest venture. The website’s language is inclusive and friendly, softly beckoning you to peruse their ideas, thoughts and wares. Like having a conversation with a friend, the content is a welcome change from reading a magazine’s instructions on how you’re meant to dress, act, look or feel. Its style is smooth and easy going, the perfect companion to a leisurely Sunday morning in a log cabin, overlooking a tranquil lake. Basic Tip #1: If the background to your site is white or black using the smallest pale grey script will alienate anyone over the age of 40 (which maybe the goal but I doubt it). Basic Tip #2: www = World Wide Web not American Web. Most stereotypes are there for a reason and the one where ‘Americans think America is the whole world’ is plainly visible here. Gearing your sales, talk and ideas towards one country rather than welcoming all nationalities to the fold is rather short sighted. Rather like jumping into an Olympic sized swimming pool only to spend all your time paddling in the shallow end. Someone as well travelled as Blake may want to investigate looking outside the US to achieve global dominance. Again the wording that describes their charitable goals is smooth and friendly though doesn’t mince the message “Let us be clear. We are a for-profit business”. A business though that wants to do what it can to help through the site, its aim “giving 5,000 children a meal, 2,000 children a blanket, and 2,700 children a warm hoodie, all within the U.S.” is commendable. Though the stipulation of 'All within the US' only further proves my previous point, because there isn’t anywhere suffering (or existing) except the US is there? The shop section is conceptual like one of those extremely cool independent stores you stumble upon in odd alleyways of London. And while I could spend hours milling around it looking at all its finery the system isn’t helpful. Broken down into only Home, Women and Men no further categories are available. That means you end up scrolling through multiple pages looking for what you want and when you find that ring, decently priced at under $100 for most of the jewellery, it’s sold out! Whether this is due to how great the design is or that Blake Lively’s name on the ‘bottle’ I’ll leave up to you to decide. As an idea it has great potential, but in reality there are a good few teething problems and stock issues to work on before it is truly ready for the outside world. For reference, that’s the bits that aren’t coloured maroon with different letters to ‘U.S and A’ on them. So I don't usually do these sorts of things but I think a day trip to London including a Selfridges haul warrants a little self indulgent "look what I've just bought" post. We spent the morning at the V and A oooohing and arrrrhing at The Glamour of Italian Fashion exhibition which had both some of the most beautiful and some not so beautiful dresses, blame the 70's and 80's - even Italians made some questionable designs in those decades. Obviously going to town means going to the mother ship (Selfridges of course!) and it was here I found a lipstick that I had been looking for since I saw it at an airport. 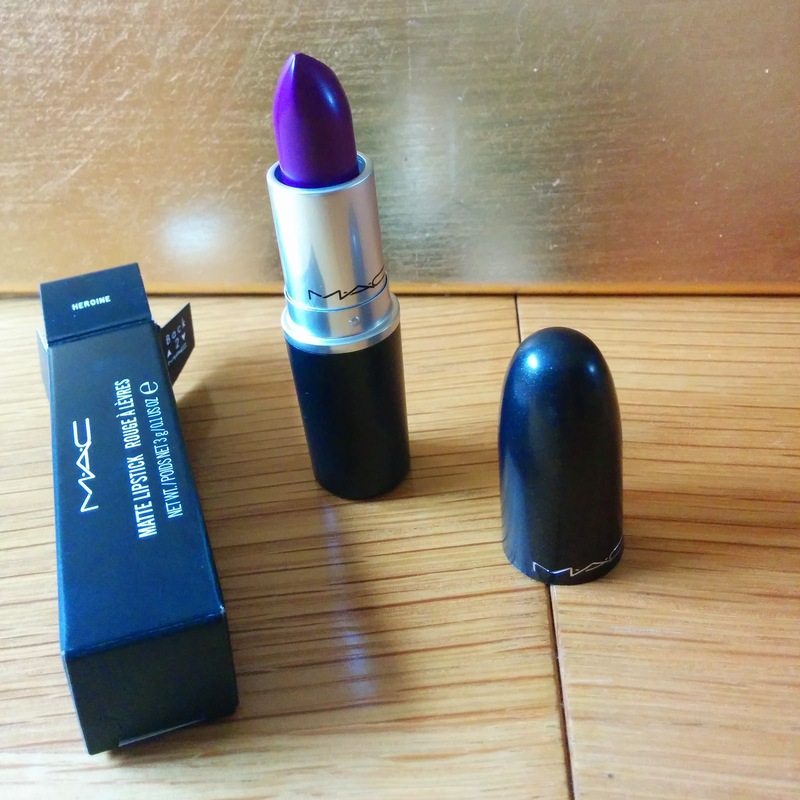 'Heroine' by MAC is a pure purple matt colour that was limited edition but became so popular it's now permanent. This goes on smooth, evenly and isn't sticky on your lips like some lipsticks can be, it does need to be applied quick thickly for the full effect though. 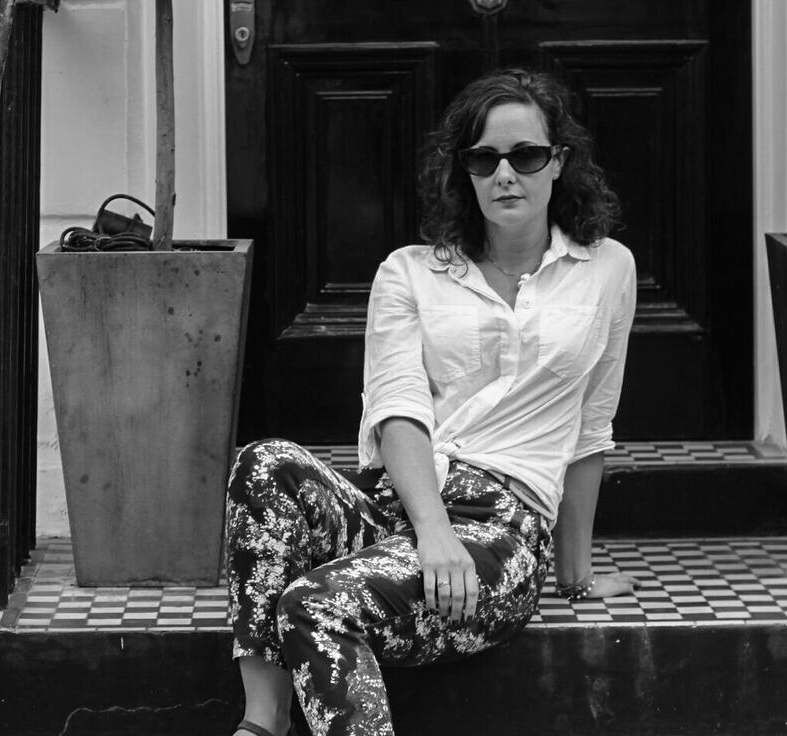 Sweaty Betty are in the middle of a sale (like most clothing lines in the height of the summer, obviously) and seem to have some decent discounts on their items. A bright purple pair of 3/4 lengths later I have a ridic bargain (in part because my Style Sister has a discount card) a good friend indeed. The cherry on top of this sundae glazed Saturday was the traditional stop off at Pierre Herme. It's here we loose all reason and sense flies out the window. It's here we embrace extravagance and luxury. 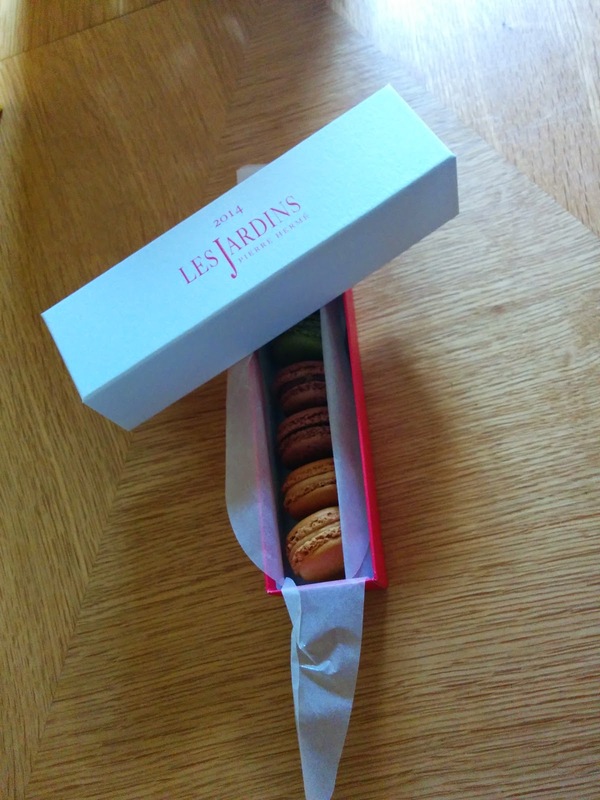 7 macaroons £16, worth every penny.